Doing this is hard work. Very hard work. I’m not eligible for grants. The subject matter is often challenging and difficult to present in an easy-to-understand way. It takes a certain level of commitment which clashes with other commitments and leaves me out of pocket in both time and money. What gap in the market does Senedd Home fill? 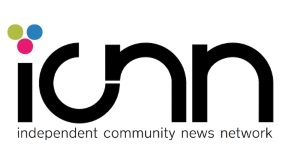 Aside from BBC Wales output (and occasionally Wales Online, Golwg360 and Nation.Cymru), Senedd Home is the only independent news outlet that covers what actually happens at the National Assembly in depth. You could even argue it holds Welsh politics in a certain level of esteem and dignity when compared to the mainstream media. It’s boring, hard, but ultimately important work. You can’t be doing all of this work by yourself, it’s impossible! Who’s helping you? I’m afraid it’s true. It’s all my own work. Every single word. There are things I would rather be doing but can’t anymore because this has changed from being a hobby to an unpaid part-time job; some might even argue a public service in the face of a market failure by the media in Wales. I spend around 12-16 hours a week on it (sometimes more at weekends) and a 750 word piece probably takes me up to half an hour to write (I’ve gotten quicker at it over the years). Thanks to innovations like simulaneous transcription of Senedd proceedings I can get posts out on debates etc. relatively quickly. There’s no great secret, I’m just a fast reader and writer. Are donations your only source of income? If it was, I’d starve! My background is in science. My biggest sacrifice is time. The donations are, in the main, to ensure I’m not personally out of pocket for doing this and to compensate for my time. Anything extra is a bonus, but donations are recorded as a contribution towards self-employment income. Yes! It covers hosting costs and contributes towards a whole range of direct and indirect expenses. I’ve used some of the money to advertise the site and individual posts on Facebook and it’s increased the audience and reach five-fold in the space of a few months. Because of donations, I’m able to start doing short videos for Senedd Home and I hope to be able to do something similar for State of Wales in the future. 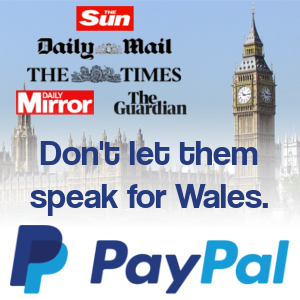 Why don’t you pay for opinion polls and Welsh language translation? Opinion polls are too expensive; a single question poll with a company like YouGov costs around £1,000, I believe. As for Welsh language translation, while it’s something I would like to do in the future (by myself preferably), the “deficit” in Welsh news is currently in English, not Welsh. 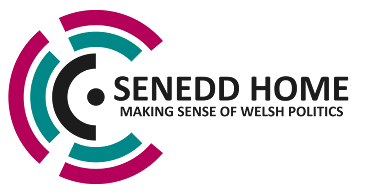 How many people does Senedd Home reach? The highest estimates put it at anything between 7,000-10,000 unique visitors a month, with an average of around 30,000-40,000 monthly page views (and a trajectory towards 2million hits for 2018). The lowest estimates are between 3,000-4,000 unique visitors a month (usually during quiet periods like the summer and over Christmas). Visitors spend between 1m:30s and 2m:30s per visit. What level of donations are you expecting? Anything between £2 and month and £5 a month would be ideal. I’d prefer to have lots of people donating a small amount instead of becoming reliant on a few big donors and benefactors. The target for 2018-19 is to raise £50 a month (£600 in total) until 30th September 2019. If everyone who visits the sites at least once a week donated £2-3 a month, I won’t only smash that target but I’ll probably get close to a part-time wage. What happens if you can’t meet your donation targets? Oggy Bloggy Ogwr is likely to continue regardless because it has the largest audience. Senedd Home takes the most work week-to-week and will probably be where I cut back – for example, switching to monthly updates instead of weekly. State of Wales may only be updated with a few posts a year. What happens if you can’t keep blogging? If – for whatever reason – I’m unable to continue or have to take an extended leave of absence you’ll be told in good time so you can cancel any donations yourselves. I can’t donate but still want to support you. How can I do this? Make sure people can read the posts. Share the posts, don’t just like them. Subscribe by e-mail (there’s a link at the top of the right-hand sidebar) and get others to subscribe. Generally, just spread the word – that’s just as important as money. You can either do it via PayPal; click the link below. You can donate via PayPal using a debit or credit card even if you don’t have a PayPal account (though it’s probably easier if you do have an account). Don’t want to use PayPal? You can set up a regular monthly donation via Patreon. For info on how to do that click the link below. The site’s Donations Policy is available here, READ IT CAREFULLY.